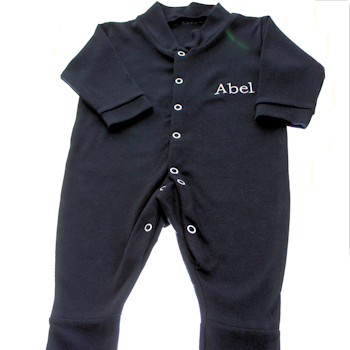 Personalised cotton baby grow all in one sleepsuit in black. A must have gift for all babies that can be customised with a name or initials of your choice, and in your favourite thread colour too! This babygrow is a lovely useful gift for baby.